HWH Stables is owned and operated by Chris Fenech, and was established with the intention to create an income to help support a respite service that is provided to families affected by Huntington’s Disease (HD) at his family's property located at 267 Dairyville Road, Upper Orara NSW. 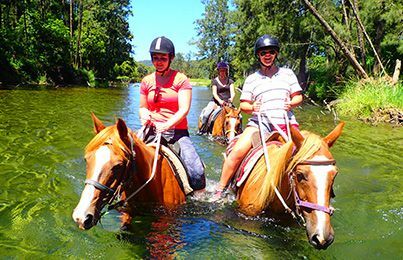 Chris' wife is affected by HD, and as an active member of the NSW Huntington’s Association he felt it was the least he could do to enable families to visit his property to enjoy the surrounds, ride a horse, and generally take their mind off the day-to-day of living with HD. 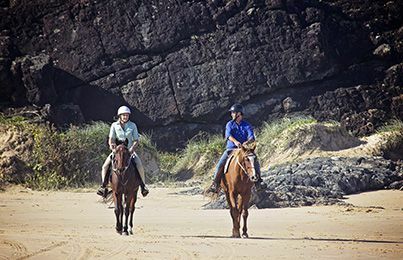 With full support from the NSW Huntington’s Association, families will be provided a day visit as HWH Stables cannot accommodate, this said, staff will provide advice on local attractions and hotels and while at the property all meals and activities will be free to all members of the families that visit. 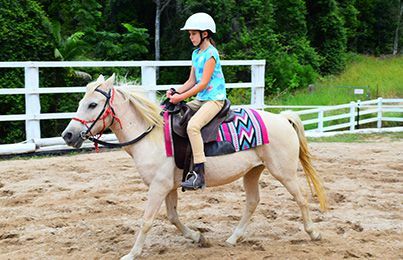 When not hosting families HWH Stables will operate to sell Horse Riding Lessons and Trail Rides to assist with the finances required to ensure this initiative is sustainable. 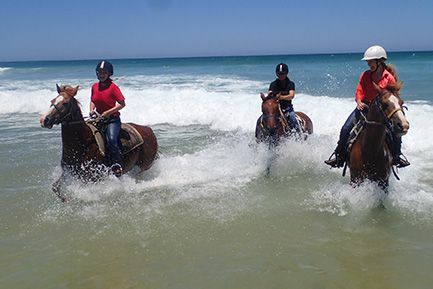 Holidays With Heart receives no government funding, supported only by ID Services Australia Pty Ltd, HWH Stables and its own fund raising efforts. Huntington’s NSW seeks to improve the quality of life of all people touched by Huntington’s Disease in NSW & ACT by connecting families to a range of quality services and by supporting people affected by Huntington’s Disease to live meaningful and hopeful lives as valued members of the community. If you would like to make a donation directly to Huntingtons NSW please go to Everyday Hero https://nfp.everydayhero.com/au/huntington-s-nsw - thank you for your support! Huntington’s disease (HD) is a genetic neurodegenerative disease. This means that it is a disease of the brain that is passed down from parent to child. There is currently no cure for HD, but there are some treatments that can help to ease certain symptoms. From the onset of symptoms, people with HD have a life expectancy of 10 to 25 years. HD is not evident at birth. In fact, symptoms will usually not appear until a person is between 35 and 55 years of age, and occasionally even later in life. In rare cases, symptoms can begin at a much younger age: in children, teenagers and young adults. This early onset of the disease is referred to as Juvenile Huntington’s disease. There are three groups of symptoms: physical, cognitive, and those affecting personality and emotions. There is no confirmed order for the onset of symptoms, and each person experiences the disease’s progression differently. HD is caused by a defective gene on chromosome 4 that causes an excessive build-up of the Huntingtin protein. This protein build-up damages nerve cells in parts of the brain, affecting neurological function and causing Huntington’s disease. Genes come in pairs – one from each biological parent – and they form the basis of everything from height to eye colour to genetic health. If one parent carries the Huntington’s gene, each biological child risks inheriting the faulty gene as well. The affected chromosome is not gender-specific, so both genders have equal risk of inheriting the faulty gene. This faulty HD gene is dominant; if you inherit it, you will certainly develop Huntington’s disease at some point in your life. Huntington’s disease is not communicable. This means it cannot be caught, as it is not an infection, and it can only be passed on at the point of conception. If you are not born with the faulty gene, you will never develop HD. HD cannot skip a generation either. The only way to inherit the disease is for it to pass directly from biological parent to child. If the parent is gene negative, their children are not at risk for Huntington’s disease.